At Xsens we aim to continuously improve our sensor fusion algorithms and sensors. Before implementing the latest filter designs on the motion tracking devices, we extensively test their performance by means of various use cases. These tests range from indoor to outdoor and from automotive to flight tests. The latter is a test that covers many different dynamics, as an airplane faces low and high velocities, strong accelerations and changes in attitude and altitude. Additionally, we can perform various maneuvers such as banked turns and parabolic flight, to find out how good our filters behave under circumstances where the direction of gravity is hard to detect. 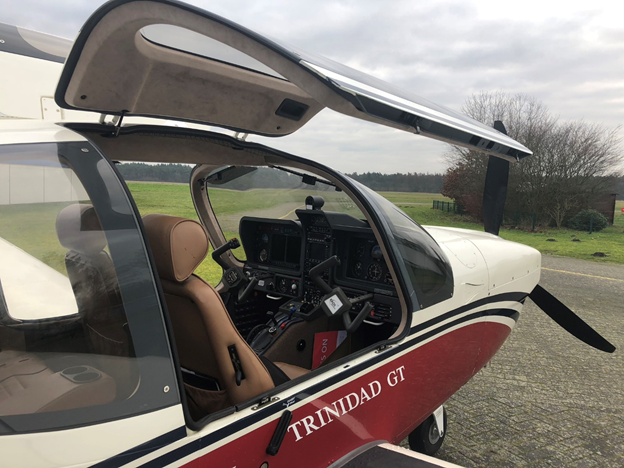 After having to abort our mission for two times due to bad weather conditions, third time is the charm: On January 23rd we left our headquarters in Enschede, the Netherlands with a full array of next gen motion trackers and we drove off to the airport of Nordhorn-Lingen, Germany. Our pilot and a SOCATA TB-20 airplane were awaiting us. and a lot of cables. All MTi’s as well as the iMar-FSAS were, via USB hubs, connected to a single laptop. We logged their data simultaneously using a single instance of MT Manager. 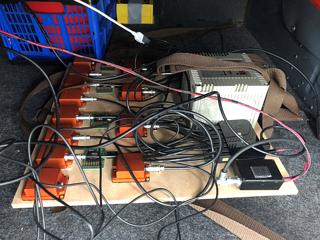 The antennae for the GNSS modules were positioned inside, near the windows of the airplane. 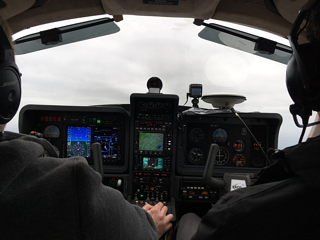 Once all devices were functioning correctly, the trackers had warmed up, and the SOCATA was ready for takeoff, colleagues Laurens and Paul joined the pilot while the rest of the team enjoyed the view from the ground. The flight featured a large amount of maneuvers. The figure below visualizes the .kmz data extracted from one of the MTi-G-710s. In this top view, we can clearly see the location of take-off, followed by two circles in which data was collected that can be used to calibrate for the airplane’s hard and soft iron effects using our Magnetic Field Mapper. Next up are various banking maneuvers (taking a turn while increasing Roll to 30-60 degrees) followed by a down spiraling motion which lasted several minutes. Unfortunately, other maneuvers cannot be identified easily from a top view: after climbing back up to high altitude, the pilot performed a sideslip. The combination of strong perpendicular wind and low flight speed caused the plane to move forward as well as sideways for about a minute. This is an interesting case for the filters in our MTi-G-710 devices, as the Yaw is not aligned with the GNSS measured course over ground anymore. Following the sideslip, the pilot performed a “knife flight” maneuver: the pilot flew straight at a Roll angle of 30 degrees for another minute. The team reached their top speed of 330 km/h by flying straight forward at a short decline in altitude. Finally, before landing, we tested some parabolic flight motion to see how our sensors would respond to low-gravity situations. The flight took only about 50 minutes, but there is a lot more work to do. The data will be organized, processed, compared and analyzed to see whether all motion trackers were able to handle the full range of maneuvers performed during the flight test. Xsens has a free whitepaper available that explains the MTi System Architecture: "The Next Generation Xsens Motion Trackers for Industrial Applications". It reveals in great detail what happens inside the orange box. After submitting the form you will receive an email including a download link to the Whitepaper.